It has happened again — this time to a Boonsboro woman. The TSA says she brought a loaded firearm in her carry-on bag at Roanoke’s airport. As WLNI’s Evan Jones reports, it is part of a trend that keeps growing year by year, and to a great extent, one that surprises the TSA. A traffic stop in Franklin County led to the arrest of the driver for outstanding warrants in Lynchburg that include abduction and kidnapping – and the passenger on drug possession charges. It happened last week on US 220 near Boones Mill. 42-year-old Stevens Clemmons of Danville faces felony charges in Lynchburg. His passenger, Noah Long of Danville, is charged with possession of cocaine. News release: On 4/3/19, deputies from the Franklin County Sheriff’s Office were conducting saturation patrol on Virgil H. Goode Hwy. The purpose of the saturation patrol is to increase visibility of law enforcement on certain roads within the county and to enforce the Code of Virginia, specifically as it pertains to drug offenses. Deputies stopped a vehicle in the Boones Mill area for following too closely and contacted 42-year-old Steven L. Clemmons of Danville. Mr. Clemmons was the operator of the vehicle and was wanted out of Lynchburg, VA on multiple charges that include abduction and kidnapping. The passenger of the vehicle, Noah Long, was charged with Possession of a Schedule I or II controlled substance. Clemmons was arrested on the outstanding charges and is currently being held in the Blue Ridge Regional Jail in Bedford. Long was released on 4/4/19 on a $2,500.00 secured bond. From the Bedford County Sheriff’s Office: On Sunday evening at 8:00 p.m., Bedford County 911 received a call reporting suspicious activity in the area of Holiday Bob Court in Boonsboro. The caller stated he witnessed a tan or gold Toyota Carrolla park in the area of Holiday Bob Court. He advised four black males exited the vehicle and went into a residence across the street. Minutes later he saw the four men return to the vehicle and leave the area. Bedford County Sheriff’s deputies and Lynchburg Police officers responded to the area and found the back glass door shattered in a home on Holiday Bob Court. Attached is a photo of the suspect vehicle. Anyone with information on this crime, please contact the Bedford County Sheriff’s Office at 540-586-7827 or Central Virginia Crime Stoppers at 1-888-798-5900 or go online to http://cvcrimestoppers.org. Enter your tip online at http://p3tips.com or use the P3TIPS app on your mobile device. Crime Stopper callers remain anonymous and could receive a cash reward up to $1,000.00. The TSA says a Forest woman was nabbed with a loaded handgun in her carry-on bag yesterday at Roanoke’s airport. Officials say the nine-millimeter weapon was loaded with 10 bullets. The woman was not named; police cited her on a weapons charge and confiscated the gun. 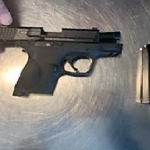 News release: ROANOKE – A Lynchburg, Virginia, area woman was stopped by the Transportation Security Administration with a loaded handgun at the Roanoke-Blacksburg Regional Airport checkpoint on Monday, April 8th. The TSA officer who was staffing the checkpoint x-ray monitor detected the 9mm caliber handgun inside the woman’s carry-on bag. The gun was loaded with 10 bullets. TSA officials notified the airport police, which responded to the checkpoint, confiscated the handgun and cited the woman on a weapons charge. It marks the first gun that TSA officers have detected at the airport so far this year. In 2018, six guns were caught at the airport’s checkpoint. The woman is a resident of Forest, Virginia, in Bedford and Campbell counties. 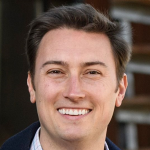 Amherst County economic development officials are praising Cooper Steel of Virginia for the improvements it has made in the last 15 months to the former Lynchburg Steel facilities in Monroe. Those include installation of a one million dollar plate processing machine to increase both work flow and product quality – and new heating and lighting to improve the workplace environment. From the Amherst County Economic Development Authority: Over a year into their acquisition of the assets of Lynchburg Steel, the re-branded Cooper Steel of Virginia continues to make improvements to its facilities with the goal of expanding one of the premier steel fabrication operations in the country. When the plant reopened as Cooper Steel of Virginia in December of 2017, there were immediate needs that needed to be addressed. The company immediately installed new LED lighting, 4 new overhead cranes, and an infrared heating system; these changes were quickly recognized by the shop employees remarks Office Manager Ana Smith “The improvements were instantly noticed by the guys in the shop..the heat and lighting certainly made this a much more comfortable and safer place to work for all“. The Blue Ridge Parkway will be closed during most daytime hours next week between Peaks of Otter and State Route 43 toward Buchanan. The National Park Service says it’s for tree removal work along that five-mile stretch next Monday through Friday from 8:00 am until 3:00 pm. 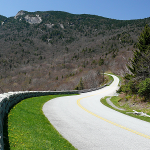 The parkway will be closed to cars, bicycles, and hikers. News release: (Bedford, VA) -National Park Service officials today announced a temporary road closure from Milepost 86 to 91, between Bedford and Buchanan, Virginia, for tree removal. The closure is scheduled from April 8 to 12, 2019 between the hours of 8:00 a.m. and 3:00 p.m. Both lanes of the Parkway will be closed to all activity (cars, bicycles, and hikers) in active work zones to ensure the safety of staff as well as Parkway visitors. Specific information regarding daily closures, related to this project or for any other reason, is available on the Parkway’s Real Time Road Map, found at www.nps.gov/maps/blri/road-closures/ . An Amherst woman will serve six years in prison for the death of her newborn son in March of last year. Maegan Collier was sentenced today. A medical examiner testified last June that seven-week-old Kolton Collier suffered from chronic malnutrition and was dehydrated. Maegan Collier admitted using meth and not seeking proper medical care for her baby boy. Prosecutors say his death was the direct result of his mother’s drug addiction. 5th District Congressman Denver Riggleman has been in office for just three months, but he already has an announced opponent in the 2020 election. Charlottesville Democrat Roger Dean Huffstetler used the G.I. bill to graduate from Harvard Business School and later co-founded his own technology startup. 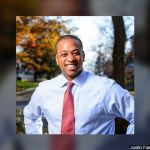 The Republican Party of Virginia says Huffstetler is a “multi-millionaire, out-of-touch liberal from California” who has lived in Virginia for only a short time.